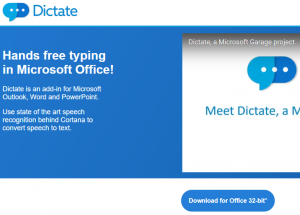 Dictate is an Office add-in for Word that converts speech to text (also includes Microsoft Translator). 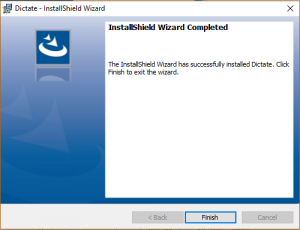 When this installation finishes, this screen appears. After you install Dictate, open Word. You will see a new tab on the ribbon called Dictation. Select this tab, and start dictating text right away. The application also includes a translator that we can use to make simple translations for example from English to Spanish when we have doubts about the meaning of a phrase. The following is an introductory video to the main features of the application. A good microphone and a quiet location are essential to getting speech recognition to work well. My suggestion is that first make Word read a text (using READ ALOUD) so that you know how to pronounce the corresponding words and later you can practice your pronunciation using DICTATE.